If you collect silver items or are into silver jewelry, it is very important to know the difference between silver plated and genuine sterling silver to avoid being misled by sellers. To the untrained eye, they may look very similar to each other and it can be very difficult to tell them apart. 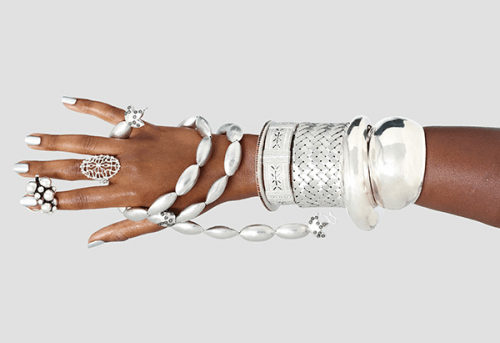 In this article, you will learn the difference between silver plated and sterling silver. Silver plated items are items that have gone through a process called “silver plating,” a process that involves applying actual silver or sterling silver to the surface of the base metal (such as copper, nickel, brass, pewter, or white metal). The complete process involves electrically charging the object first to make sure it attracts the silver particles. This results in an ultra thin layer of silver coating the item, giving it the appearance of pure, fine silver. Jewelry, flatware, and hollowware are the most common silver plated items. On the other hand, sterling silver is a combination of 92.5% pure silver and 7.5% additives. The most common additives used are nickel and copper, or a combination of different kinds of metals (an alloy), which helps make the item more durable and more resistant to discoloration and oxidation. Sterling silver is commonly used in making jewelry, accessories, and silverware. There is a huge difference between silver plated items and sterling silver in terms of their composition. Silver plated items are actually made of another kind of material like copper, nickel, brass, or pewter that is coated with a very thin layer of silver. On the other hand, sterling silver are items that are made of 92.5% pure silver and 7.5% additives (copper, nickel, or a combination of metals). Because silver plated items and sterling silver may look very similar, especially to the untrained eye, you can distinguish them from each other by looking at the stamp or label. Silver plated objects are typically labeled “EP,” “EPNS,” or “Silver on Copper.” Manufacturers are not allowed to label silver plated items “sterling,” which is why the term “sterling plated” does not exist. Genuine sterling silver, on the other hand, is labeled “925,” representing its 92.5% silver content. Objects that are made in the U.S. after the 1850s may also have a stamp that says “.925” or “Sterling.” Additionally, sterling silver made in Europe is usually hallmarked. British hallmarks have three marks: a leopard head or an anchor (signifies the city where the item is manufactured), a lion passant (signifies the purity of the item, and that it meets the standard of 92.5% silver content), and a single letter (indicates the year when the item was manufactured). These hallmarks are made with a die and are stamped on the item. Like real silver, silver plated items have a bright, shiny finish, except it’s usually lighter in color than genuine sterling silver. Sterling silver, in general, also weighs less than silver plated. For instance, if you have two rings of the same size and shape, with one being silver plated and the other one genuine sterling silver, the sterling silver ring will be much lighter. This is because the other types of material typically used as the base metal in silver plating are naturally heavier than pure silver. Because silver plated items are actually made of a different material, like copper or brass, silver plated items are more durable than sterling silver. With proper care, silver plated objects can last for up to twenty years. If not stored and handled properly, the silver plating will eventually rub off, especially if the item is always worn in water. Silver plate will wear off before the design wears away, exposing the base metal, whereas well-used sterling silver will wear and lose its design first because it is relatively softer than most types of metal. Signs of oxidation over time may appear, but sterling silver can be easily cleaned with a special cloth. Silver plated objects are more affordable and do not have intrinsic silver value. This means that over time, silver plated items, like tableware, will have very little resale value. Additionally, because the layer of silver in silver plating is very thin, reclaiming the silver through refining seems to be a futile idea. Silver plate is considered the most cost-effective alternative to the more expensive forms of solid silver jewelry. Because of its high pure silver content, sterling silver retains it intrinsic value over time. This is also why sterling silver items can be costly. Sterling silver is more valuable than silver plate as it can be melted down, refined, and the silver content can be redeemed.